I am still pregnant. He is still faithful. 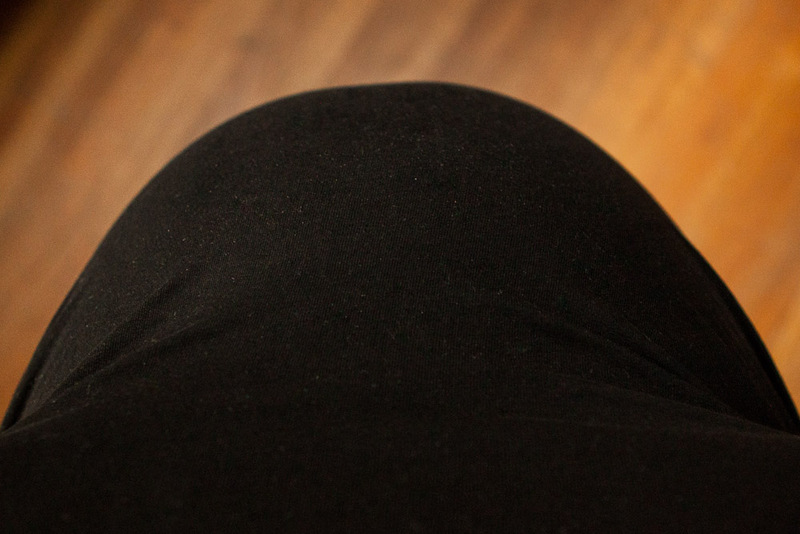 I think perhaps the hardest part of this whole experience is to accept the fact that there is absolutely no aspect of this pregnancy, especially the upcoming labor and delivery, that is within my ability to control. I can’t make myself not be sick, I can’t make myself not be tired, I can’t make all the aches, pains, discomfort, and supercharged hormonal emotions go away. I can’t choose when I go into labor, who will be with me when it happens, or even where it will happen. I’m in control of absolutely nothing and all my planning is completely subjective and frequently useless. It shouldn’t surprise me. This isn’t exactly news. But I guess I’ve walked myself right into the curse of the fall– this desire, this need for control. I mean, why not? Don’t I live in the twenty-first century? Don’t I live in a country that promises me certain freedoms, including the “unalienable right” to pursue my own happiness? Haven’t I been reading and listening to all these voices calling me to make all these decisions about my pregnancy, my labor, my birth, my recovery, my life? But it’s not my life. It never was. My life is not my own. I am not the master of my fate, I am not the captain of my soul. I was bought with a price. My life was ransomed by Christ for His own purpose, for His own glory. I know this. And why do I suddenly have a problem with this? When has He ever left me? When were His plans for me not better than my own? When have I ever stood on the other side of a trial and wished some other king had been on the throne? When was He ever unfaithful? When was He ever anything but good? Someone do me a favor and just tattoo this on my face. Ok. Maybe not my face, but somewhere just as visible. Insert belly photo… complete with lint and weird shapes. Hey, it is what it is. Also, Baby Moses has definitely dropped. Baby is the size of: a pumpkin. That’s cute. Seasonally appropriate. Loves: hot caramel apple cider from Keen Eye, GF blackstrap molasses cookies, lemon zest sorbet, changing leaves, my temporary wedding ring (2.5 sizes bigger than normal, since apparently I now have sausage fingers), Aaron (I just want him here all the time), having all the baby prep done, and snuggling with my cat who has seemingly remembered she likes that. Hates: hearing the word “haemoglobin”, feeling enormous, dealing with anxiety or fear about birth or postpartum recovery– especially when brought on by professionals who are supposed to be helping, aches and pains, how hard it is to convince myself to get out of bed and do something productive, and Sriracha hot sauce. The longest week of my life.